Over thirty-one seasons of experience in the Lehigh River Gorge State Park, near Hickory Run State Park in northeast Pennsylvania, has made us the best white water rafting and kayaking outfitter in the area. The Jim Thorpe, PA area is magnificent for rafting, hiking, biking, kayaking and paintball at Skirmish Paintball. Fun, Adventure, and the Great Outdoors! You will find all of these things in rafting and fall in love with them just as we did 31 years ago. Our Family Style trips are rafting favorites for the novice. We also offer summer dam release trips that will keep even expert paddlers happy. 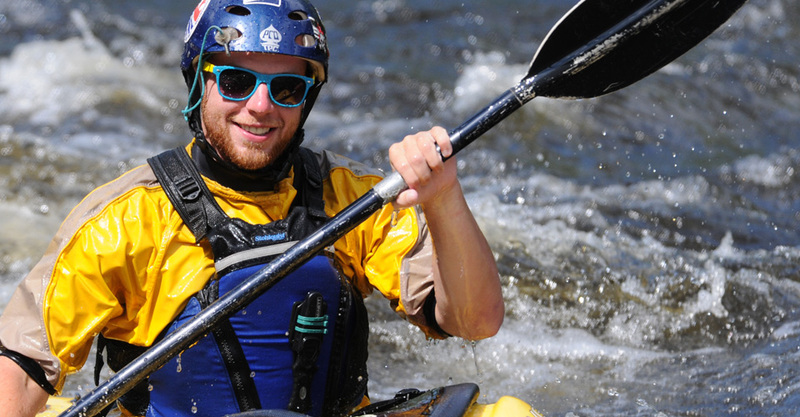 Pocono Whitewater has been licensed in Pennsylvania, West Virginia, New York, Canada, and New England. Our white water experience is extensive on many different white water levels and rivers. Pocono Whitewater offers kayak clinics in order to learn the basics or hone your existing skills. We also offer a personal kayak shuttle if you are just looking for a quick easy way to get your boat to the river. Enjoy easy biking along the Lehigh River on our self-guided mountain bike tours through the heart of the Lehigh River Gorge State Park. The Jim Thorpe area is a mecca for mountain biking, and has bike shops and rail trails for all levels of bicycling. Seven hundred acres of densely wooded, award winning Pocono Mountain paintball fields await you at Skirmish in Jim Thorpe, Pennsylvania. Skirmish was voted #1 in the country. So come play the best paintball fields in the world! © Pocono Whitewater, Ltd. All Rights Reserved.